Any textile showroom or retail outlet needs proper display racks that offer the best display of their garments while also helping to minimize floor space utilization which is essential in a showroom. Adequate Steel offers the best in line textile racks for showrooms that offers space utility, enhanced storage capacity apart from stability, durability and sturdiness. 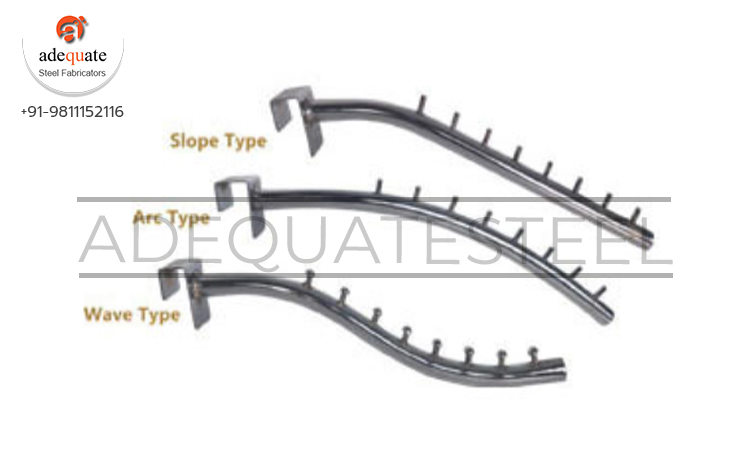 Adequate Steel offers varied options for textile racks, and some of them include; textile center racks, textile hanger straight display units, textile hanger inclined display units, textile round wooden racks, textile rack centre mini gondolas, textile rack wall gondolas without and with base, textile rack center gondolas and textile inclined holders. There are a few add-ons that complement the racking system and textile inclined holders have become an essential part of the system for textile showrooms. These are essential part of the holders system as it helps to hold the hangers with clothes on display.